Please read these booking conditions carefully, they form an important part of the contract for your paragliding trip, paragliding holiday or paragliding course (hereinafter called ‘trip’ or ‘trips’). Adequate and valid travel and accident insurance is compulsory for all Passion Paragliding trips; and it is a condition of accepting your booking that you agree you will have obtained adequate and valid travel and accident insurance to include paragliding and related activities. You are required to carry proof of insurance with you and produce it if reasonably requested by us or our employees or suppliers; failure to do so may result in your being prevented from participating in certain activities without the right to any refund. We will not be responsible for costs you may incur as a result of not having valid or adequate insurance. It is the responsibility of all our clients to declare any material facts including known medical conditions to their insurers, as failure to do so may result in a claim being reduced or declined. To make a booking you can contact us directly over the telephone, or via our website www.passionparagliding.com (‘Website’). The person making the booking (the ‘lead name’) must be 18 years old or over and possess the legal capacity and authority to make the booking and accepts these booking conditions on behalf of everyone in their party. Whether you book alone or as a group, we will only deal with the lead name in all subsequent correspondence, including changes, amendments and cancellations. The lead name is responsible for ensuring the accuracy of the personal details or any other information supplied in respect of yourself and any other person travelling on the booking and for passing on any information regarding the booking or any changes made in relation thereto, to all persons travelling on such booking, including but not limited to information on schedule changes or copies of booking confirmations. For all trips, you will need to pay a deposit to us at the time of booking of a minimum of £200 or equivalent. The remainder of the cost you must pay not later than 56 days before commencement of the trip. In certain cases we may request full payment more than 56 days before departure. If you book less than 56 days before departure, full payment must be made on booking. If you do not pay the balance by the due date your booking may be cancelled and you will forfeit your deposit plus any other relevant charges. Please note that all payments made on a credit card (whether deposits, part payments or final balances) will be subject to a credit card fee of 2% (inc. VAT). If we accept your booking, we will issue a Confirmation Email. A contract will exist between us from the date we issue the Confirmation Email or if you book within 7 days of departure the contract will exist when we accept your payment. When you receive the Confirmation Email please check the details carefully and inform us immediately if anything is incorrect. 4.1 If, after our confirmation has been issued, you (i) make a change to your existing booking or (ii) wish to change to a different tour or change departure date, we will try to make the changes subject to availability, provided that notification is received at least 56 days before departure, but we reserve the right to charge an amendment fee of £50 per booking for each change. 4.2 Any alteration, whether a change to an existing booking or a change to another tour or departure date, will be subject to payment by you of any costs imposed by any of the suppliers providing the component parts of the trip. If the trip to which you transfer is more expensive than the one you originally booked, a further fee will also be payable. Any alteration by you within 56 days of departure will be treated as a cancellation of the original booking and will be subject to cancellation charges. Where you are transferring your booking to another person, both the transferor and transferee will be jointly and severally liable for payment of the trip price and other associated expenses. Please note that any request to transfer your booking (either to another date or another person) will be treated as a cancellation if such notice is received within 56 days of departure and will be subject to cancellation charges. 1) More than 56 days before start date: Loss of deposit unless booking (and deposit) is transferred to a new booking for a different trip departing within 1 years or the original departure date. 4.5 All communications relating to this contract (in particular any requests to cancel or amend your trip arrangements) must be from the Lead Name in writing and in English by email or sent by recorded delivery post to Passion Paragliding. 5. If we Change or Cancel your Booking. We plan the arrangements for your tour many months in advance and may occasionally have to make changes, most of which are minor. We may also have to cancel your trip. Operation of all trips is dependent on a minimum number of persons booking the trip. If that number is not achieved, we reserve the right to cancel the trip. However we will not cancel your trip less than 4 weeks before the scheduled departure date except for reasons of force majeure (as defined below) or failure on your part to pay the deposit and/or final balance, or any other reason beyond our control. Where we cancel your booking where you are not in breach of these booking conditions and other than for reasons of force majeure, we will offer you either a refund of the monies received by us in respect of the booking, or offer you, if available, a replacement trip from us of equivalent or similar standard and price (at the date of the change). If we are forced to cancel your trip after departure we will, wherever possible, make suitable alternative arrangements. If we are unable to make such alternative arrangements, or you reject these for good reason then we will refund you for any unused services, if appropriate. We strongly recommend that you make no travel arrangements to your point of departure, make any connecting travel that is non-refundable or non-changeable or incurs penalties or incur any costs in respect of visas or vaccinations until such time as your booking has been confirmed. If you make such arrangements which you are then unable to use due to a change in your itinerary we shall not be liable to you for the cost of those arrangements. Circumstances amounting to “force majeure” include any event which we or the supplier of the service(s) in question could not even with all due care, foresee or forestall such as (by way of example and not by way of limitation) war, threat of war, riots, civil disturbances, industrial disputes, actual or threatened terrorist activity and its consequences, natural or nuclear disasters, fire, epidemics, health risks and pandemics, acts of God, unavoidable and unforeseeable technical problems with transport for reasons beyond our control or that of our suppliers, closed or congested airports or ports, hurricanes and other actual or potential adverse weather conditions, and any other similar events. Our obligations, and those of our suppliers providing any service or facility included in your trip, are to take reasonable skill and care to arrange for the provision of such services and facilities. You must show that reasonable skill and care has not been used if you wish to make any claim. Standards of, for example, safety, hygiene and quality vary throughout the destinations that your trip may involve. Sometimes these standards will be lower than those which would be expected in the UK or elsewhere. We shall have no liability where the cause of the failure to provide, or failure in, your trip or any death or personal injury you may suffer is not due to any fault on our part or that of our agents or suppliers, because it is either attributable to you, or attributable to someone unconnected with your trip and is unforeseeable or unavoidable, or is attributable to our employees, agents, subcontractors and suppliers and their staff whilst acting outside the scope of their employment, or is due to information, however obtained, from outside sources such as independent third party websites, or is due to unusual or unforeseeable circumstances beyond our control, the consequences of which could not have been avoided even if all due care had been exercised, or an event which neither we, nor our agents or suppliers could have foreseen or forestalled. If any international convention applies to, or governs, any of the services or facilities included in your trip arranged or provided by us, or provided by any of our suppliers, and you make a claim against us of any nature arising out of death, injury, loss or damage suffered during or as a result of the provision of those services or facilities, our liability to pay you compensation and/or the amount (if any) of compensation payable to you by us will be limited in accordance with and/or in an identical manner to that provided for by the international convention concerned (in each case including in respect of the conditions of liability, the time for bringing any claim and the type and amount of any damages that can be awarded). International Conventions which may apply include, without limitation: in respect of carriage by road, the Geneva Convention 1973; and, in respect of hotels, the Paris Convention 1962. For the avoidance of doubt, this means that we are to be regarded as having all benefit of any limitations of compensation contained in any of these Conventions or any other international conventions applicable to your trip. Other than as set out above, and as is detailed elsewhere in these booking conditions, we shall have no legal liability whatsoever to you for any loss or damage. In the event of an accident we reserve the right to charge a fee for additional expenses incurred by us in dealing with the accident. This will be billed to you within 28 days of the final date of your trip. We may operate trips in regions where standards of accommodation, transport, safety, hygiene, medical facilities and other infrastructure may, at times, be lower than those you might normally expect. Your booking is accepted on the understanding that you realise the hazards involved in this kind of trip, including injury, disease, loss or damage to property, inconvenience and discomfort. The whole philosophy of this type of travel is one that allows alternatives and a substantial degree of on-trip flexibility. The outline itineraries given for each trip must therefore be taken as an indication of what each group should accomplish, and not as a contractual obligation on our part. Changes in itinerary may be caused by local political conditions, flight cancellations, mechanical breakdown, weather, border restrictions, sickness, or other unforeseeable circumstances. We operate all our trips in accordance with the recommendations from the UK Foreign & Commonwealth Office (FCO). If you are booking from outside the UK you should recognise that the FCO advice may not always be aligned with the advice from your own consulate or government travel authority. Paragliding is an adventure aviation sport. It carries an inherent critical risk of injury and fatality. This risk may be increased in areas in which we operate; including but not limited to lack of mechanical and technical support, reduced health and safety standards, poor medical and evacuation facilities, increased risk associated with overseas travel including, but not limited to, security, transportation, accommodation and hygiene standards. You hereby accept and agree that you are participating in aviation sport in extreme environments carrying risk both on the ground and in the air and that we cannot be held liable for any injury, illness, fatality, disruption or any other loss or damage whatsoever and howsoever caused that you may incur and you indemnify us and our employees against any such liability. Our trips are operated for qualified and autonomous paragliding pilots (as defined on our website). You certify and warrant you are an autonomous, qualified and competent person suitable for guiding and the evaluation of such advice. Guiding is provided on an advisory basis only and is not paragliding instruction. You are expected to take independent decisions in the air and on the ground, including, but not limited to, your own suitability assessment and decision to fly, including, but not limited to, evaluation of guidance related to SIV manoeuvres. You will provide your own appropriate and well maintained equipment. You must not fly under the influence of alcohol, drugs or debilitating medication. By your independence you are solely responsible for any loss or damage that you may cause to yourself and third parties such as, but not limited to, other clients of Passion Paragliding and other parties that may be sharing the sites at which we fly. You indemnify Passion Paragliding and its employees against any such liability. Paragliding is a physically active sport suitable for the reasonably fit with no particular health, eyesight or hearing problems and the mental ability to accept guidance in the environment described in 6. and 7. above. You should satisfy yourself that you are physically able and mentally suitable for guiding. If you have any doubt at all as to your suitability, you should seek medical advice prior to booking. You warrant that you are physically and mentally suitable for guiding in the environment described in 6. and 7. above and indemnify Passion Paragliding and its guides against any claim for loss, injury or fatality as a result of such unsuitability, whether disclosed or not. You accept that Passion Paragliding reserves the right to refuse to guide or otherwise assist you in any way whatsoever, whether temporarily or permanently, at any time, as it sees fit in its sole discretion, without refund. This includes but is in no way limited to your failure to present adequate evidence of insurance as described in 1 above. Paragliding is a weather dependent activity. In areas in which we operate permission to fly may also be withdrawn by local authorities or flying sites might unavailable for reasons beyond our control. You accept that flying may be disrupted, limited, or may not be available at all. If you have a complaint about your arrangements whilst away, you must immediately notify our local representative or your Group Leader and the relevant supplier of the service. 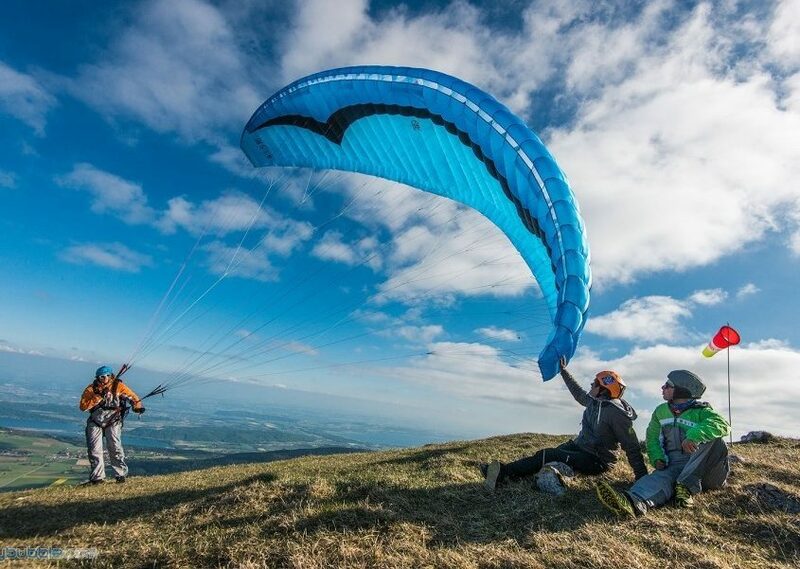 If you are not happy with their action in response please follow this up within 35 days of your return home by emailing us or writing to Passion Paragliding, giving all relevant information. We aim to provide a full response within 28 days. Whilst we are able to provide basic advice to clients regarding passports and visa requirements, you should check with the appropriate embassy, consulate or the British Foreign and Commonwealth Office for the exact requirements for your chosen tour and date of travel. It is your responsibility to ensure that you have the correct passport and visas to gain access to any country/region included in the travel arrangements which you purchase from us. If you fail to do so, we have no liability to you for any cost, loss or damage which you suffer, nor will we refund you the cost of any unused portion of your travel arrangements. In some cases, countries will refuse entry to clients who have criminal records. Should you be concerned about this, please check with the embassy or consulate of the countries to which you are travelling. The lead name is entirely responsible for ensuring that all members of the group have the correct and valid documentation for travel. We cannot accept responsibility for any failure to comply resulting in any costs or fines being incurred and we advise you to check with your passport office or the consulate in question if you have any queries. Clients travelling overland to certain destinations may need to also pass through controls of other countries en-route so this should be allowed for with any passport/visa applications. Laws and customs of the country/ies you visit can be very different to those in the UK or your country of residence. Be aware of your actions to ensure that they do not offend, especially if you intend to visit religious areas. There may be serious penalties for doing something that might not be illegal in the UK. You are strongly advised to check with the appropriate embassy, consulate or British and Commonwealth Office for further information regarding local laws and customs of the country/ies you plan to visit. It is your responsibility to familiarise yourself with, and respect local laws and customs. If you fail to do so, we will have no liability to you for any cost, loss or damage which you suffer nor will we refund you the cost of any unused portion of your travel arrangements. This refers to a combination of information such as your name, contact details, and special needs/disabilities/dietary requirements that you supply us or is supplied to us, including your social preferences, interests and activities and any information about other persons you represent (such as those on your booking). Your information is collected when you request information from us, contact us (and vice versa), make a booking, use our website(s), link to or from our website(s), connect with us via social media and any other engagement we or our business partners have with you. 1. For the purpose of providing you with our services, including your trip, etc., we may disclose and process your information outside the UK/EEA. In order for you to travel abroad, it may be mandatory to disclose and process your information for immigration, border control, security and anti-terrorism purposes, or any other purposes which they determine appropriate. Even if not mandatory, we may exercise our discretion to assist where appropriate. 2. We may collect and process your information for the purposes set out below and also to companies and our service providers who act as “data processors” on our behalf, or to credit and fraud agencies (some of whom are located outside the UK/EEA). These purposes include administration, service, quality and improvement-related activities, customer care, product innovation and choice, business management, operation and efficiencies, re-organisation/structuring/sale of our business (or group companies), risk assessment/management, security, fraud and crime prevention/detection, monitoring, research and analysis, social media, reviews, advertising and marketing, loyalty programmes, profiling customer purchasing preferences, activities and trends, dispute resolution/litigation, credit checking and debt collection. 3. Information (such as health or religion) may be considered “sensitive personal data” under the Data Protection Act 1998. We collect it to provide you with our services, cater to your needs or act in your interest, and we are only prepared to accept sensitive personal data on the condition that we have your positive consent. By booking with us you also agree for your insurers, their agents and medical staff to exchange relevant information and sensitive personal data with us in circumstances where we/they need to act on your behalf in an emergency. 1. Using your information, we may from time to time contact you with or make available to you (directly or indirectly) information on offers of goods and services, brochures, new products, forthcoming events or competitions. We will tailor the information you receive or see; this will enable us to make available to you more personalised and relevant communications. You have the right to ask in writing not to receive direct marketing material from us. If available, you can amend your previous preference on our website(s), use our “unsubscribe email”, opt-out of personalised emails. Once properly notified by you, we will take steps to stop using your information in this way. Our website(s) may contain links to third party websites or micro-sites not controlled or owned by us. It is your responsibility to check the status of these sites before using them. Please read their applicable terms and conditions, etc. carefully. To ensure that we carry out your instructions accurately, improve our service and for security and fraud, we may review, monitor and/or record: (1) telephone calls; (2) transactions and activities at all points of contact; and (3) web, social media and app traffic, activities, etc. All recordings and derivative materials are and shall remain our sole property. Whilst on a trip it is necessary that you abide by the authority of the guide, who represents the Company. If you commit any illegal act when on the trip or if in our reasonable opinion or the reasonable opinion of the guide or another person in authority your behaviour is disruptive, threatening or abusive, causes unnecessary inconvenience or is causing or likely to cause damage to property, danger, distress or upset, disturbance or annoyance to others or puts any other traveller or our staff in any risk or danger, on the telephone, in writing or in person, we may terminate your travel arrangements without any liability on our part. If you are affected by any condition, medical or otherwise, that might affect your or other people’s enjoyment of the trip, you must advise us of this at the time of booking. If we issue detailed trip notes for your booking these trip notes and all the information contained therein will be deemed to be part of the contract. Trip notes available from our website or by email from us contain up-to-date definitive information about the itinerary and travel arrangements. Should there be a discrepancy between the information in the brochure or website and the trip notes, the information in the trip notes supersedes that in the brochure or on the website and will be considered the most up-to-date and accurate. We will consider special requests such as dietary requirements or specific room arrangements when you book. We will tell you whether there is a charge for the request. We can only guarantee requests for which there is a charge, or those that are confirmed in writing. It is your responsibility to advise us of any special requirements at time of booking. Any claim or dispute arising from or related to your booking, will be governed by English law and the courts of England and Wales shall have exclusive jurisdiction over any claim arising out of it.